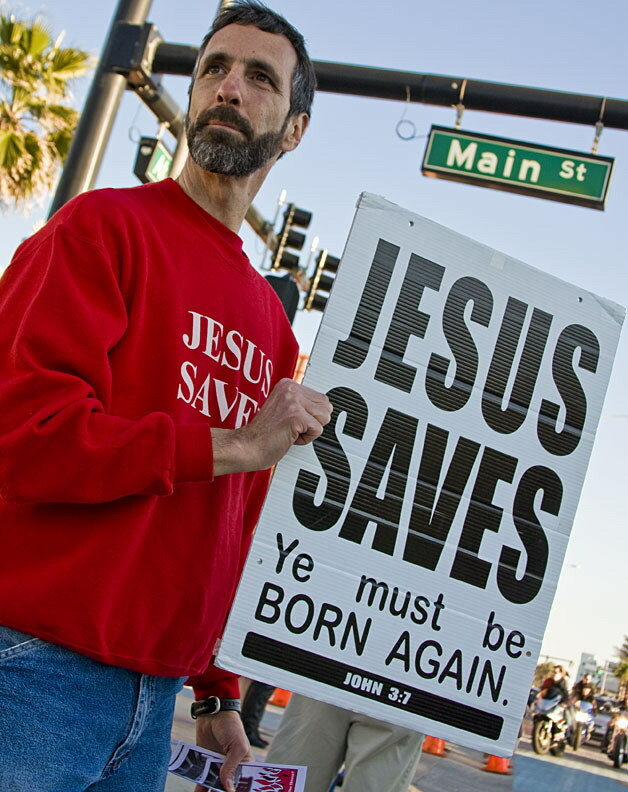 How is a person born again? Is it the same as being saved? I typed in this question and found many answers, but few of them even mentioned the answer the Holy Bible gives. As a matter of fact, most seemed to avoid this answer all together. Jesus told Nicodemus, unless a man be born again he cannot see the kingdom of God. John 3: 1-8 There was a man of the Pharisees, named Nicodemus, a ruler of the Jews: 2 the same came to Jesus by night, and said unto him, Rabbi, we know that thou art a teacher come from God: for no man can do these miracles that thou doest, except God be with him. 3 Jesus answered and said unto him, Verily, verily, I say unto thee, Except a man be born again, he cannot see the kingdom of God. 4 Nicodemus saith unto him, How can a man be born when he is old? can he enter the second time into his mother’s womb, and be born? 5 Jesus answered, Verily, verily, I say unto thee, Except a man be born of water and of the Spirit, he cannot enter into the kingdom of God. 6 That which is born of the flesh is flesh; and that which is born of the Spirit is spirit. 7 Marvel not that I said unto thee, Ye must be born again. 8 The wind bloweth where it listeth, and thou hearest the sound thereof, but canst not tell whence it cometh, and whither it goeth: so is every one that is born of the Spirit. Jesus said a man must be born of water and the Spirit. Being born of water symbolizes giving our life to Jesus, and accepting him as our Lord and Savior. This is the first, and most important thing, any of us can do. People assume when we have done this, we are now also born of the Spirit, and therefore born again.We do receive God’s Spirit at this time, but there is more to it. Jesus had this to say about his word. John 6: 63 It is the spirit that quickeneth; the flesh profiteth nothing: the words that I speak unto you, they are spirit, and they are life. God’s word is spirit. It changes our life. By it we replace the spirit of the world and renew our minds. Romans 12: 2 And be not conformed to this world: but be ye transformed by the renewing of your mind, that ye may prove what is that good, and acceptable, and perfect, will of God. I believed when I accepted Jesus into my life, I would be magically transformed into a new person. But I was disappointed. I tried to be different, but I did not see much change. I did not witness much good fruit, of this new way of life. Mathew 13: The same day went Jesus out of the house, and sat by the sea side. 2 And great multitudes were gathered together unto him, so that he went into a ship, and sat; and the whole multitude stood on the shore. 3 And he spake many things unto them in parables, saying, Behold, a sower went forth to sow; 4 and when he sowed, some seeds fell by the way side, and the fowls came and devoured them up: 5 some fell upon stony places, where they had not much earth: and forthwith they sprung up, because they had no deepness of earth: 6 and when the sun was up, they were scorched; and because they had no root, they withered away. 7 And some fell among thorns; and the thorns sprung up, and choked them: 8 but other fell into good ground, and brought forth fruit, some an hundredfold, some sixtyfold, some thirtyfold. 9 Who hath ears to hear, let him hear. Posted in: Who we are in Christ. ← God wants you healed.